Omni-channel logistical success is predicated on a number of factors, one of the most important being warehouse inventory management. Inventory management in warehouses requires more than just organizing products (though that certainly helps): It requires the right alignment of network strategy, facility and process engineering, and technology systems that create inventory visibility and accuracy. The result is a heightened ability to deliver to your customer via their preferred sales channel, with a cost-to-serve that serves your bottom line. Proper warehouse inventory management can be challenging but, if you follow this useful advice, you can increase efficiency and reduce costs. The layout of your warehouse should facilitate logical inventory flow, from receiving and inspection through to picking and packing, to ensure that operations move quickly and smoothly. A cramped, congested layout makes it difficult for inventory management personnel to access stock and leaves insufficient room for important processes such as receiving, which increases the risk of human error. It’s especially important to reevaluate your warehouse layout to accommodate increases in company sales, which contribute to increased space requirements. Does my current layout utilize space efficiently? Do my employees have enough room to do their jobs properly? How long has it been since I last updated my layout? Have we experienced a significant increase in sales volume in that time? Do I want to incorporate any specific inventory logistics strategies into my layout (e.g. cross-docking, wave picking, etc.)? Reorganize your stock keeping units (SKUs). To ensure efficient operations and inventory management in your warehouse, organize products so that they’re easily accessible to inventory management personnel. This principle applies not only to your warehouse’s general layout but to your SKUs, as well. Strategically sort your SKUs and use slotting to group items together based on size, velocity, seasonality and other characteristics to reduce the amount of time employees spend searching for specific items. You might also consider creating zones based on pick type to simplify order picking and reslotting. Place high volume, fast moving SKUs close to shipping areas in easy-to-reach locations so employees can retrieve them quickly. Finally, adopt lean inventory practices. By identifying and eliminating poor performing products, you can drastically reduce inventory levels and better enable employee efficiency during order fulfillment. A warehouse management system (WMS) is a good place to start. A WMS is software designed to support and optimize warehouse functionality. A WMS can integrate systems and workflows, strategically organize execution systems, increase inventory visibility, mitigate the risk of demand volatility and more to ensure peak inventory management warehouse performance. It’s also wise to invest in systems with business intelligence (BI) capabilities. BI uses technology to collect, analyze and transform data into actionable information. 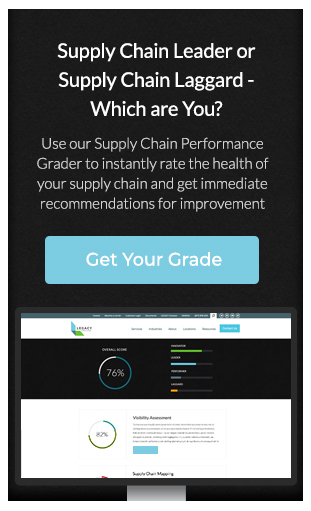 You can use this information to forecast inventory demand based on product and vendor performance, reduce excess inventory, put together fill rate reports, implement real-time inventory tracking and get an accurate account of what’s in-stock at any given point in time. One of the benefits of investing in technology is gaining the ability to automate essential workflows, including data collection, barcoding, scanning, picking and packing, shipping, inventory tracking and more. Automated inventory warehouse management allows for greater scalability, decreases the risk of human error, increases efficiency and saves time and money on manual labor. 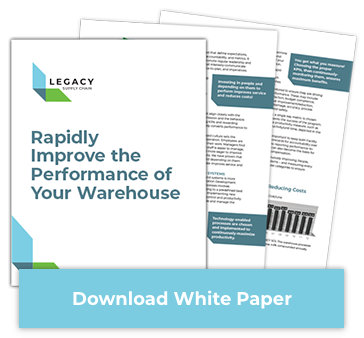 Once you’ve implemented inventory management warehouse technology, take care to regularly reevaluate your automation strategy to ensure that it continues to meet your business’s efficiency standards. One of the best ways to improve overall inventory warehouse management is to make it easier for warehouse employees to do their jobs — and to do them efficiently. This can be as simple as setting strict safety standards to protect your employees from potential harm on the warehouse floor or adjusting your cleaning schedule to a more optimal time. Develop a detailed organization plan so that it’s easier for staff to identify where high-volume products are located. From a technical perspective, use automation to maintain accurate records of all warehouse activities that employees can refer to on a moment’s notice. Whenever you implement new technology, take the time to host mandatory training sessions and familiarize all warehouse personnel with new software and systems. By empowering your staff with this valuable knowledge, you present them with additional opportunities to optimize inventory management on an everyday basis. It goes without saying that an organized warehouse is an efficient warehouse. But even more than that, an organized warehouse plays an important role in driving omni-channel success across the supply chain. By implementing the practices listed above, as well as investing in the right software systems, you can simplify day-to-day operations, improve employee morale and move inventory faster.